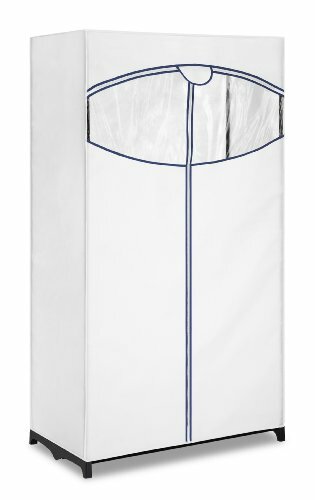 This Whitmor fabric clothes closet provides extra closet space for homes, offices, dorms, and more. The closet is a great storage option for unused or seasonal garments. The closet features a plastic outer covering to protect your clothes from dust, Moths, and more. FREESTANDING WARDROBE COLLECTION: Whitmor's easiest solution to gain more garment storage.